Well, I don’t know about you, but I had a great break the last few days. And I’m very glad to be back to a somewhat normal routine, though it feels like Christmas is rushing to us at a record pace – and it’s not even December yet! Over the holiday we had a bunch of out of town family visiting, and my aunt suggested an ornament exchange. 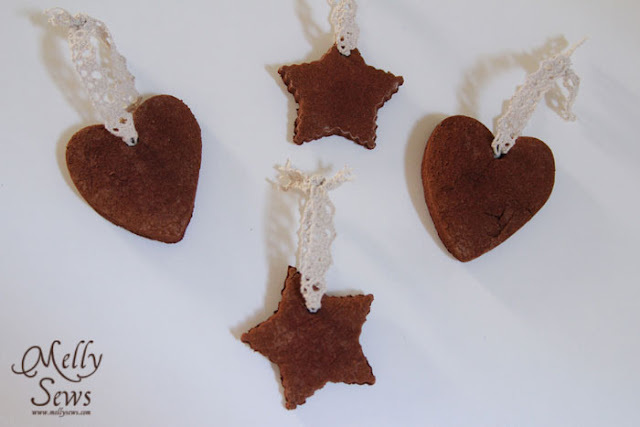 I was all out of sewing time and inspiration, so I made cinnamon ornaments for my contribution to the exchange. 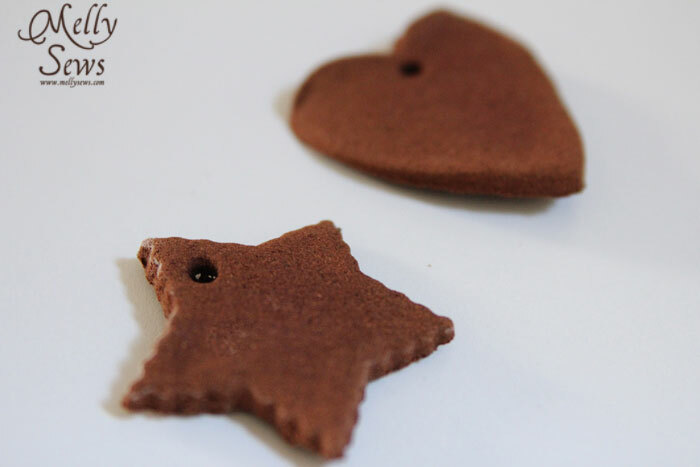 If you’ve never made these before, they are super easy, and they smell soooooooo good! Knead together until it’s not too sticky and not too dry, then roll out to about 1/4″ thick between sheets of wax paper. 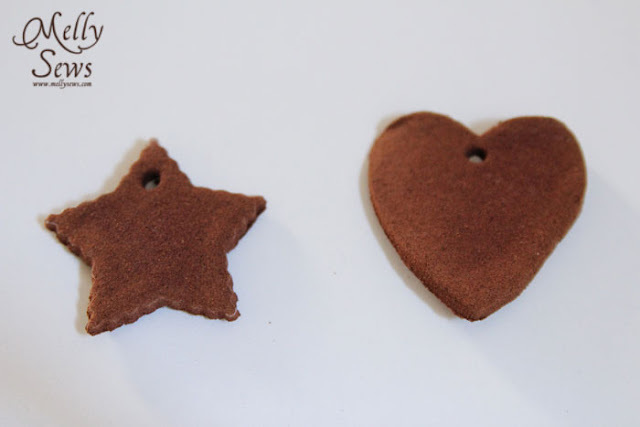 Use cookie cutters to cut out your shapes, and a drinking straw to poke a hole for hanging in them. 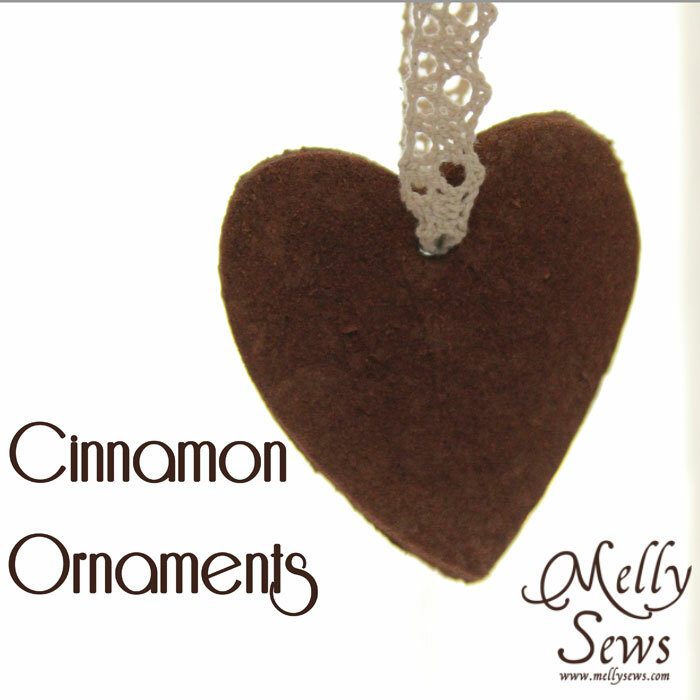 (And then let your kids use the straw to squeeze out cinnamon worms). You can either dry these in a sunny window, or in the oven at 200 degrees. Flip the over every half hour or so so they don’t get warped if you’re using the oven. (Also, if you use the oven, your whole house will smell delicious). 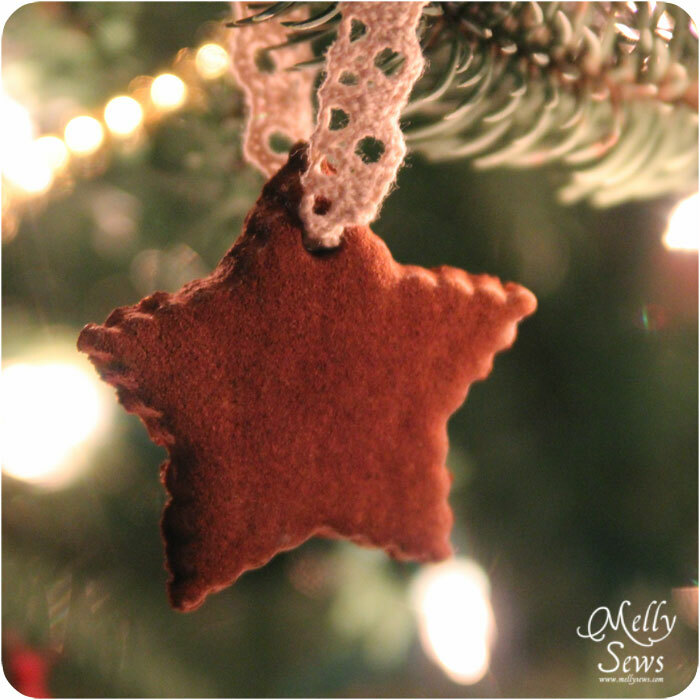 Thread some lace trim, ribbon or ornament hooks through the holes and hang in your tree!